So lets be honest, next to Cyber Monday Black Friday is the most important time of the year, some might say even more important than their birthday or Christmas! 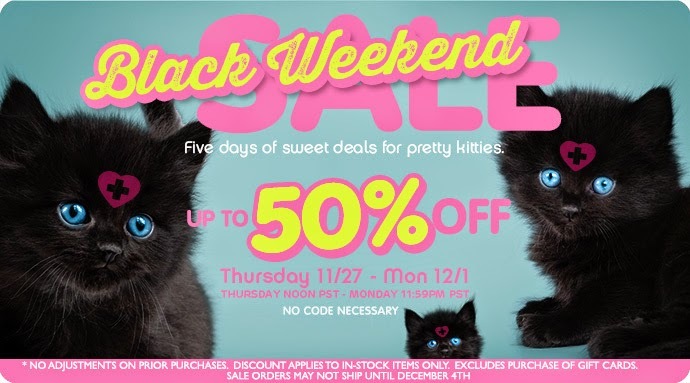 My favourite brand Sugarpill Cosmetics is having their wonderful Black Weekend sale! They are currently having many things up to 50% off which is absolutely crazy! If you haven't tried Sugarpill Cosmetics before I seriously recommend trying them now when they're having such an amazing deal. Even there brushes are 25% off right now, $51.00 instead of $74.00! 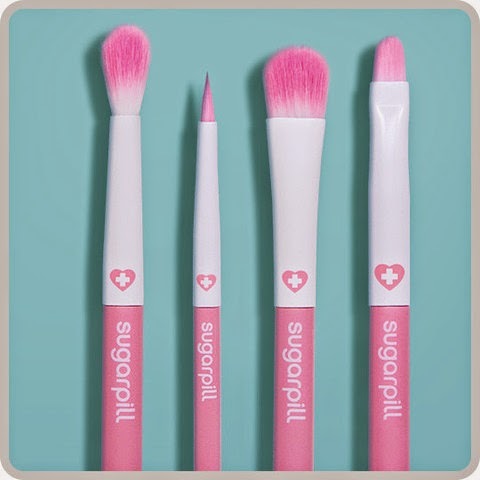 I may just have to get in on this deal because who doesn't want adorable pink and white brushes! Like seriously, look at these amazing deals! $8.40 for an eyeshadow that's intensely pigmented? I think yes! 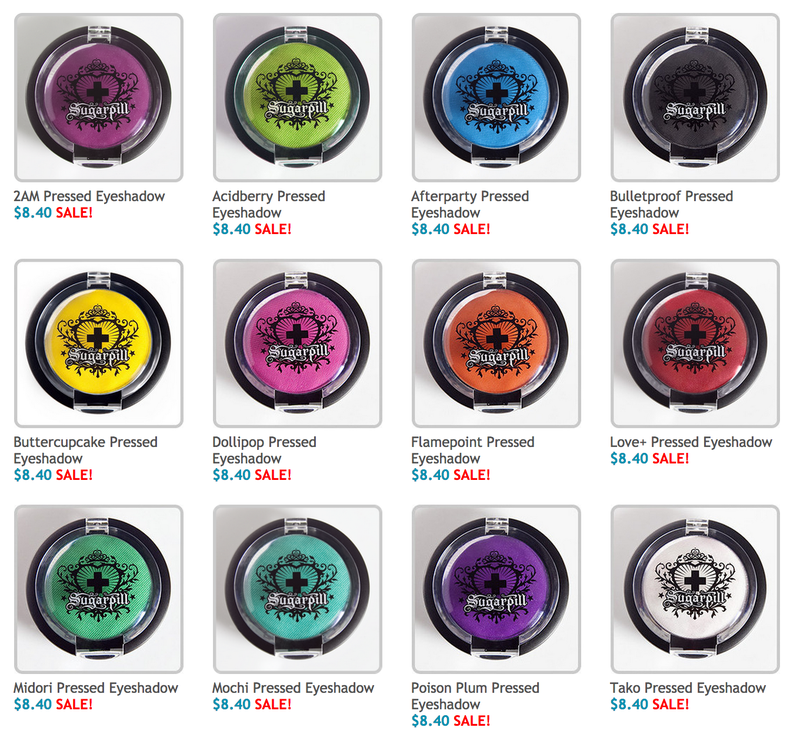 All these eyeshadows and more are 30% off right now and are from today until the 1st of December! Get in on this kittens, it's even specifically for pretty kitties!